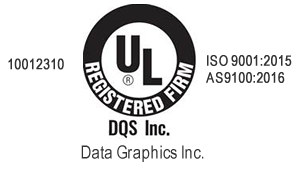 Polycarbonate Label | Data Graphics Inc. Polycarbonate Label | Data Graphics Inc. When you need a label that can withstand the harsh elements, a polycarbonate label is probably your best option. Polycarbonate is a group of thermoplastic polymers. These polymers are easy to work with. They are easy to mold and thermoformed. These plastics have a variety of industrial uses. There are many different kinds of polycarbonate labels that industries use today. There are barcode labels, warning labels, safety labels, danger labels, hazardous labels, bio-hazard labels, logo labels, product identification labels, inventory labels, asset tags, tamper-proof labels, instruction labels and quality-control labels. Data Graphics Inc., a Mount Dora-based graphics company northeast of Orlando, has more than 25 years of experience making polycarbonate labels. 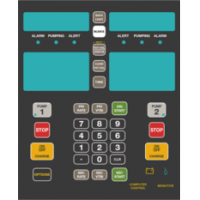 With our state-of-the-art equipment and knowledge of the industry, Data Graphics Inc. can deliver a polycarbonate label order to your specifications and standards. 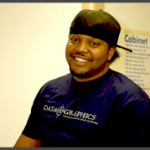 Data Graphics Inc. has a full-service art department that can turn your ideas into reality. Data Graphics Inc. primarily serves the aerospace, medical, telecommunications, OEM manufacturing and military industries. Some labels need to be made to last. A logo/nameplate label is a perfect example of where a polycarbonate label can come in handy and brand your product for a lifetime. Logos/nameplates are placed on equipment, hardware and manufactured products. Nameplates need to be able to withstand the harsh outdoor environment and the extremely hot areas of some components. Polycarbonate barcode labels are often given an alpha numeric serial number to give the object it is attached to a unique identifier. Inventory-control specialists assign these barcode labels to a particular object to track it through the company’s system. Knowing where everything is within a system is vital for a smooth running operation. Without labels, it would be impossible. A polycarbonate label is resistant to extreme temperatures, exposure to chemicals, and impact. It is great for printing. Polycarbonate labels all contain die-cut characteristics and certain optical properties. There are a variety of ways you can print your polycarbonate label. Polycarbonate labels can be screen printed, digitally printed, hot stamp printed, flexo printed and thermal transfer printed. The labels can have a glossy, textured, matte or brushed finish. A pressure-sensitive adhesive can be applied to the label for maximum staying power when stuck to the surface of an object. Short orders on polycarbonate labels are available. There are no minimum order quantities. The standard lead time on a job is seven to 10 business days after the artwork is approved by the client.